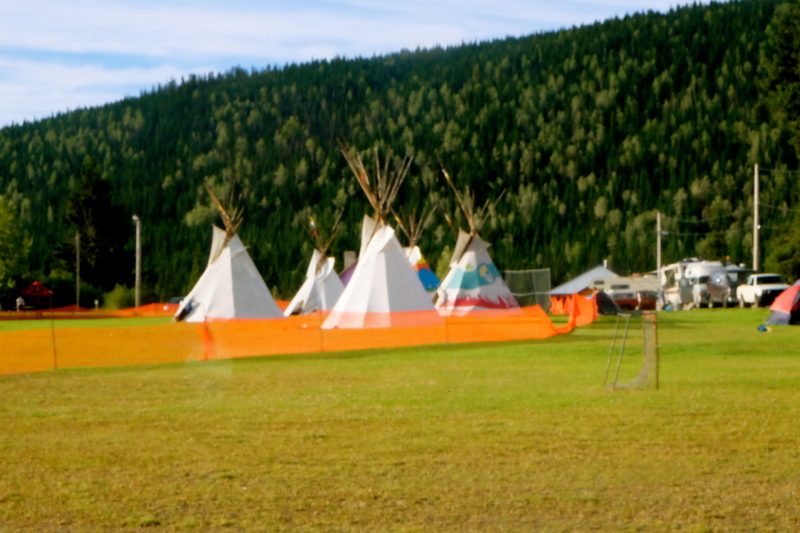 There truly is no other place like Artswells, which seems to be the first thing most people say about this spectacular four day art explosion in Wells, BC. Wells is a small, beautiful and historic town located in the Cariboo of Northern BC. That stated it is not particularly easy to get to and the fact that it is packed with thousands of people is a sign the festival is doing all the right things. 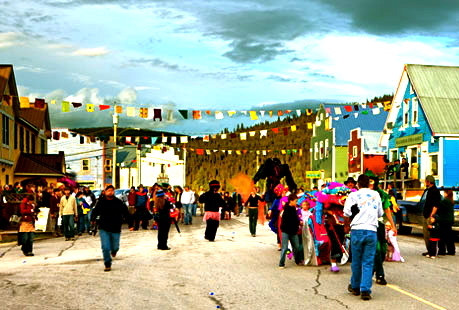 The truth is, they are; this tiny town is completely taken over by the festival, which makes for various venues for the even more various artists including churches, a heritage theatre, a casino, pub, legion, community hall and pockets of outdoor spaces that are surrounded by mountains and river. Everywhere you look offers a different kind of extraordinary beauty with a different kind of creative force. Musicians, visual artists, theatre and spoken word are all part of this omni-presently satisfying paroxysm of creative freedom. 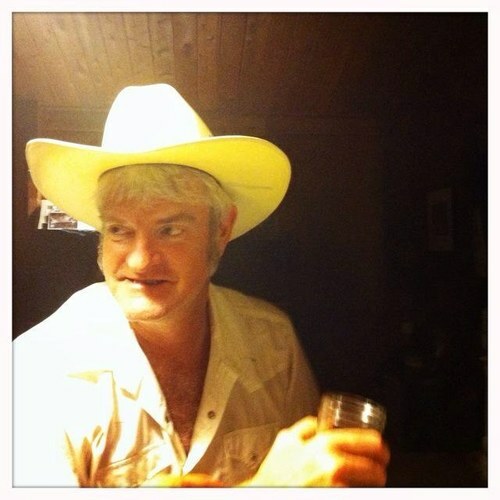 Rusty Ford is a Vancouver based kooky Country artist who encapsulate both the absurdity and heartache that deeply exists in the threshold of Western music. His songs express the sadness and hilarity of life along a refreshing interpretation of the characters within it. Ford takes you on an eventful walk in the wrong side of town; his performance that was suitably placed at the Legion was wonderfully unforgettable. The audience sang along to his charmingly crooked lyrics such as “ I hate every bone in your body except mine” and “My truck, my dog and you” The Saturday night patron’s drew on the outdoor walls of the Legion, the staff made you feel like you were their first cousins and I have never seen more suspenders paired with Hawaiian shirts. Rusty Ford sang his reckless heart out in a Honky Tonk suit with a band as well suited as whiskey with squirrel. 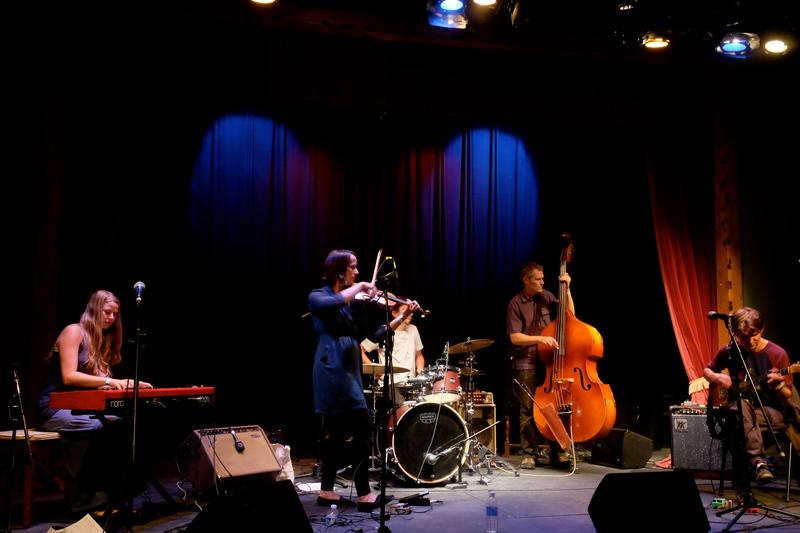 Pugs and Crows are a powerful progressive Jazz and Folk ensemble based out of Vancouver and New York. They blend various textures of rich sound and create modern sonic masterpieces inspired by classical music. Their sound is rejuvenating, visceral and absolutely stunning to observe. They have won Juno awards, toured extensively and have opened for the great Bill Frisell. However, these humble and wonderfully talented people manage to be as much audience members as they are performers as I consistently witnessed them enjoying the various elements of Artswells. Pugs and Crow’s performance at the Sunset Theatre on the phantom Sunday night was completely paralyzing, the packed house, which consisted mostly of other musicians barely, paused to blink. Their music contains virtuosic intonation accompanied by complicated chord structure yet it remains elegant and accessible. The members of Pugs and Crows are independently genius musicians, but together they are an avalanche of brilliance. Jasper Sloan Yip is the singer-songwriter of a six piece experimental Indie-Folk band out of Vancouver. Jasper is blessed with a stunning voice, his songs swallow you whole and the band play with great intuition and delicacy. 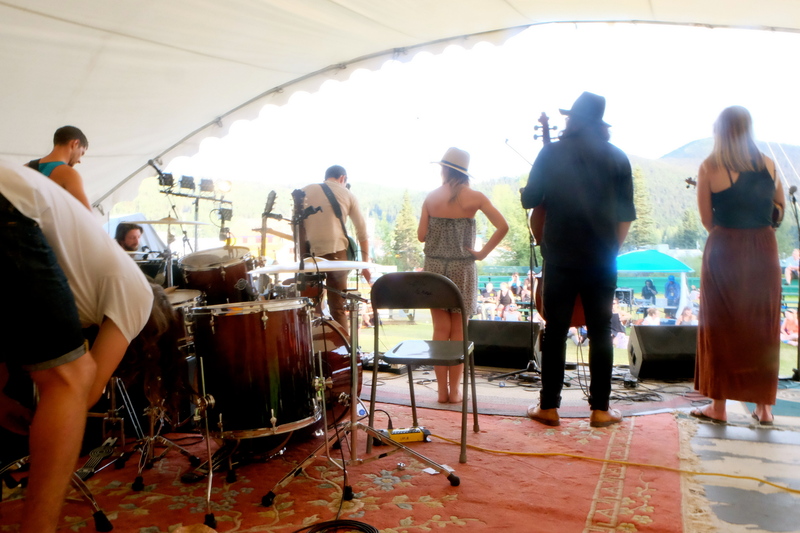 Their performance at the Outdoor stage on Sunday night was suitably timed as the sun was setting, the sounds of the night were impending and everything and everybody were becoming less Folky and more Rock and Roll. Jasper Sloan Yip provide both the nostalgic and experimental nature of Indie-Folk, their music makes you feel comforted yet inspired. They are all lovely, charming and talented people; admitting they are tired yet not stifled by this inevitable feeling after incessant touring. They aren’t trying to be anything they are not and allow their songs to caress the verge of pop. Jasper Sloan Yip’s performance was graceful, intuitive and uplifting. 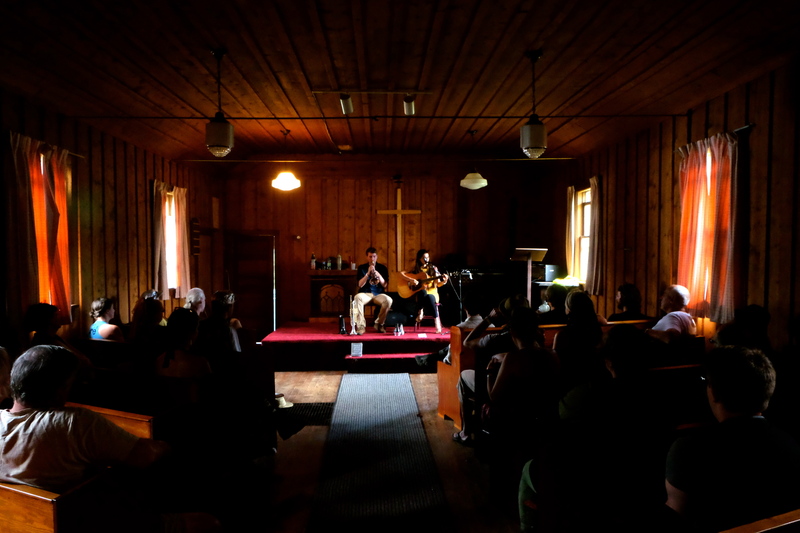 Other highlights include Tereza Tomek singing both heart warming and wrenching songs with a pet duck she was babysitting onstage at the beautiful small church The Tempest. 2 Dope boys, the spoken word duo performing commanding and hilarious words completely in-sync. The Tailor conducting sweaty, sensual and symbiotic tunes to a 3 am crowd in the basement of the Main Hall. The various musicians constantly gathered throughout the town playing their own tunes to the ever-changing mobile crowd walking by.One of the most unique aspects of Artswells, is that more than any other festival I have been to, the artists are interchangeably audience members, which ultimately unites everyone. There is nowhere more real yet surreal than the incredible and unforgettable experience known as Artswells.